Stephen Hawking's "no boundary" model ultimately posits that our humble universe is just one of infinitely many parallel universes. A few months before physicist Stephen Hawking died, he co-authored a paper that several media outlets touted as a way to finally prove (or disprove) the existence of parallel universes. The as-yet-unpublished study, by Hawking and Thomas Hertog, a physicist at the Catholic University Leuven (KU Leuven) in Belgium, first appeared in the preprint journal arXiv in July 2017 and was revised just a week before Hawking passed away. 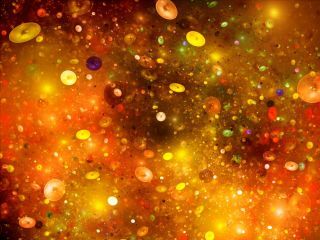 The study is an attempt to isolate the types of universes predicted by one of Hawking's unproven theories, the "no boundary" model to explain the Big Bang. The roots of the paper go back to one of Hawking's best-known, yet unproven theories: the "no boundary proposal" to explain the Big Bang. According to Einstein's theory of general relativity, before the Big Bang, there must have been a singularity, or an infinitely dense, extremely hot speck of matter for which the laws of physics break down.